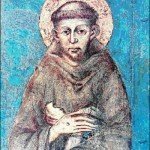 I found an interesting post at Farming the Field blog that looks at the types of evangelistic encounters that were had in the New Testament. The author is a teacher of Ray Comfort’s material from the way of the Master. He cites a book that looks at contact evangelism, a popular style in that method. Contact evangelism is defined as sharing the biblical gospel in direct contact with strangers. There are at least 89 instance of Christ and His associates doing evangelism in the four Gospels (Matthew, Mark, Luke, John). Of these 89 instances, 77 took place in the context of Contact Evangelism. There are at least 46 instances of the early Church engaging in evangelism (both contact and friendship) in the book of Acts. Of these 46 instances, 38 took place in the context of Contact Evangelism. These incidents provide us with a clear model for evangelism, based on sheer volume of examples of Christ Himself doing contact evangelism. Furthermore, it is instructive that most of the friendship evangelism opportunities in the Gospels were the direct result of previous encounters in the public. For example, consider Zacchaeus. He is often touted as an example of friendship evangelism because he and Jesus shared a meal together. 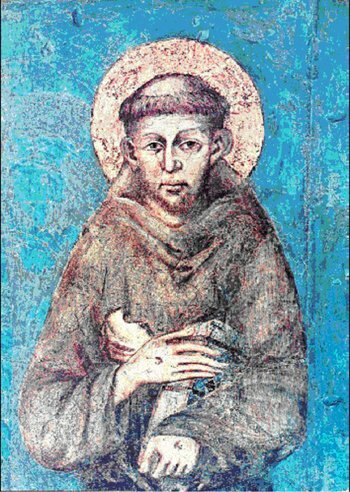 The fact that he met Christ in the context of His public ministry is entirely neglected by most proponents of Friendship Evangelism (Luke 19:1-4). This is true Friendship Evangelism: a friendship that begins (not ends) with the proclamation of the gospel. At least the author says that is a model, not the model. 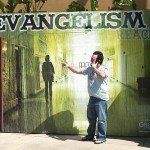 The author of the review clearly says they are not presenting Contact Evangelism as the one and only model. Rather they seek to encourage us to consider it since it is a prevalent model in the Gospels and Acts. 1. We don’t have a public ministry like Jesus. This model as found in the NT might very well have happened simply because Jesus was a very public figure, unlike most of us. Crowds sought HIM for forgiveness. People cried out to HIM when he passed by. People traveled miles to experience HIM in person. Most of us don’t have those experiences. I don’t have strangers knocking on my doors. I don’t have people coming to see me. Crowds and individuals were taking the initiative to seek Jesus out. A man in the crowd cried out for a healing for his son. The Gaderene demonic met Jesus when he arrived in town. These are some examples. If you think of who made the first move with the stranger, it appears that it wasn’t Jesus. The widow of Nain during the funeral procession for her son. My lists are not exhaustive. But it from the rapid scan I did, it appears to me that most of this contact evangelism was initiated by the individual, not by Jesus. His style of ministry was very different from most of our lives. He was a very public figure, unlike most of us. He was in a context where contact evangelism naturally occurred. Now, people do start conversations with me when we happen to be in the same place at the same time, but they are not seeking me out. They happen in an entirely different context than the public ministry of Jesus. 2. 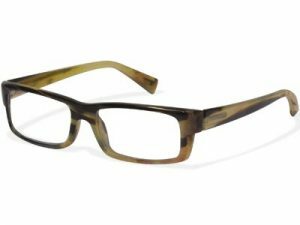 Does personal preference influence how we see it? I think the book author is trying to prove his point to justify his own evangelism style. 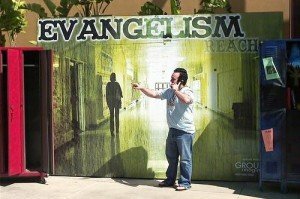 I’ve got my take on how I practice effective evangelism and how I train others to do so. 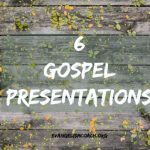 Given what works for me and how I’ve helped people find faith in Christ, I see examples of my style in the New Testament and when I teach, I too use the gospel and New Testament stories as illustrations. I’ve got my own lenses through which I find stories in the NT to help me illustrate my point. It’s not about the style. As long as one communicates the gospel clearly, how it is done is simply the means. Got Style? Personality Based Evangelism by Jeffrey Johnson. See www.ShareAsYouGo.com, a course written by my friend, Jimmy Kinnard. Booklets, DVD, DISC test. On October 14, I’ll be doing a radio interview with Jeffrey Johnson on Blog Talk Radio. (Photo Credit: Image found at the original blog post).